About your housing during your stay in IMS. You may use our Lodges, otherwise use a private apartment or public housing close to IMS. ① The period required for implementing the joint utilization research, less than one month. This limit does not apply if recognized as necessary by the Director-General in charge of the accommodation facilities. ②～⑥ Period recognized as appropriate by the Director-General in charge of accommodation facilities. When renting a private apartment in Japan, usually one decides through a real estate agency. If renting for the first time, you should consult or have your host professor or Japanese friend accompany you because of the unique custom of Japanese contracts. Rental fees depend on the conditions such as location, room layout, and age of the apartment. When renting an apartment, you may need to pay two to four months’ worth of expenses as key money and security deposit in addition to the rental fee and a guarantor. Security Deposit Expense which is paid to the house owner as security for problems that occur during the course of one’s occupancy and damaging the room and accrued rent when moving out. The remaining balance after deduction of the cost of cleaning the room or repair when moving out is refundable, however, the handling differs depending on the house owner. Key Money Non-refundable expense other than rent which is paid to the house owner as a holding deposit. Real Estate Agent's Fee Expense which is paid as a real estate placement fee to a real estate agency. Maintenance and Management Fees The maintenance and management fees cover the maintenance and management of common facilities of the apartment buildings. Those who have notified their place of residence at their local government office can apply for the following public housing. Your application will be examined, even if you applied you may not always be able to move-in. 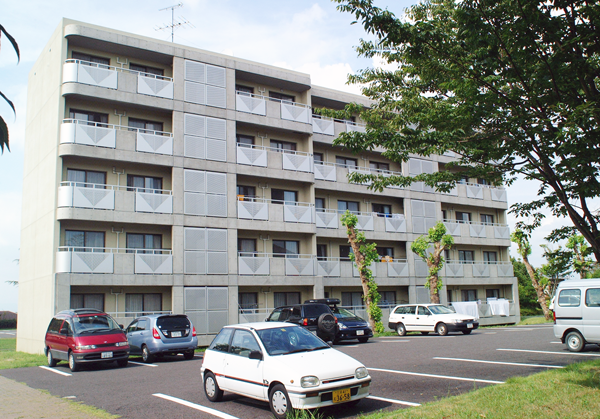 Municipal Housing An applicant must reside or work in Okazaki City. An applicant must be clearly in need of residence. An applicant must have a family member with whom he/she is living together or seek to live together. The total income of the applicant must be within the designated standard by the city. The applicant must not be a gangster. Prefectural Housing An applicant must have a family member with whom he/she is living together or seek to live together. An applicant must be in need of residence. The total income of the applicant must be within the designated standard by the prefecture. An applicant must have one cosigner (a relative in principle). An applicant must be able to live a healthy communal life peacefully. An applicant must be able to submit a certificate of registered items in the foreign resident registry. A cosigner must have Japanese nationality. An applicant must not be a gangster. Notices shall be made in the Aichi Prefectural Housing Supply Corporation’s website. List of nearby hotels having English web sites.